Using ammonia in beef sounds bad enough, but the article goes on to say that it might not be as effective as the FDA thought it might be. I’m beginning to wonder if you can ever trust what is in ground beef. I actually kind of regret not picking this up at the 50% off bin at Barnes and Noble. I mean, who doesn’t want to learn how to draw Hell Beasts?! 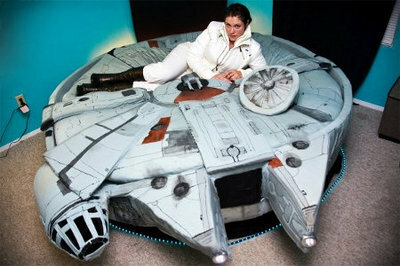 Coolest bed ever! 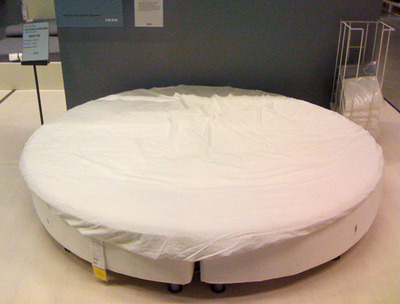 You could make your own from this IKEA bed, but it looks like it’s been discountinued. When is a restaurant reservation not a reservation? When you have one for 9:00pm and don’t get seated until 10:00pm. The guilty party? Otto’s on Mainstrasse in Covington on Saturday night. I understand that you can’t always predict when customers will leave, but an hour? And we weren’t the only ones. Another four people ended up eating at the bar because of the wait. We couldn’t eat at the bar because the three of us had one stool between us. What we thought was going to be a few minutes became twenty minutes, then an hour. Leaving was always an option, but we really had no idea that we’d have to wait so long. It’s hard to leave when you think your table is just around the corner. The worst part is that they never offered us a drink, an appetizer, nor even a word of apology. Some kind of gesture would have a long way. I like Otto’s, but it’ll be a while before I go back. Harvard college basketball star Jeremy Lin, lights up basketball powerhouse UConn for 30 points. I’ve been struggling with the definition of what is a friend on Facebook and now I have a mishmash of friends, acquaintances, and a few people I don’t really know. On a “friendly” day I might let someone in my circle that I otherwise wouldn’t. But, anyone who looks at my profile doesn’t really know the difference. It’s just a number and a connection. According to him, the presence of so many Asians and Pacific Islanders made her uncomfortable: “They were a minority type thing and it wasn’t glamorous, so she came home. Wow, the feeling is mutual. I have this strong uncomfortable feeling about Sarah Palin. I guess it’s just human nature. 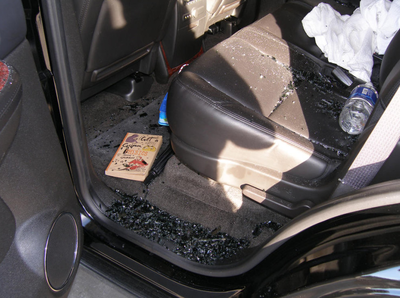 When I saw the book in this photo, I immediately went to Amazon to look it up too. Innovative illustrator Shepard Fairey has been selected to create the official artwork for the 52nd Annual GRAMMY Awards. The piece, which brings together traditional GRAMMY iconography with Fairey’s unique approach to design, will be used as the official artwork for the world’s premier music event and will grace the cover of the 52nd Annual GRAMMY Awards program book, telecast tickets, promotional poster, and 2010 GRAMMY Nominees CD. This is pretty cool. Can’t wait to see what he comes up with. The Contemporary Arts Center in Cincinnati will be exhibiting Shepard Fairey’s work in February 2010.